Welcome to UBC's Liquid-Mirror Telescope Pages. The links above will lead you to information about specific projects with which we are involved. UBC's Sodium Lidar System obtains the first high-resolution density profiles of the Eearth's mesospheric sodium layer. 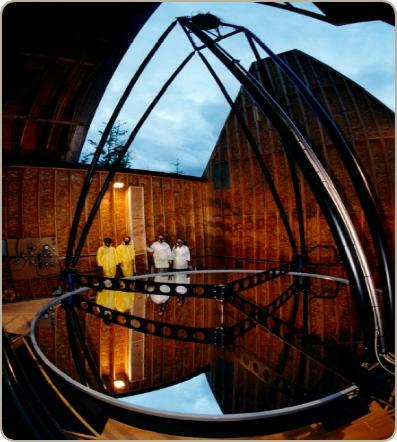 The International Liquid Mirror Telescope project prepares for initial testing of its 4-meter liquid primary mirror.